Hire An Agent: What, Why, How? We are temporarily removing Hire An Agent feature and we’re already developing the new version and we will launch it a couple of months. The world’s online football marketplace – Hire an Agent is revolutionary service to directly connect players and agents in the football industry. 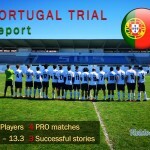 It allows players to directly hire an agent or a scout, with the purpose to find or transfer them to a new club. Agents get extra compensated (income) for their effort; beside their normal transfer commission fee. The idea is to construct a transparent football marketplace which guarantees a service you are paying for. A system where players have no doubt in hiring an agent. Their money, invested in boosting their career, is safe and 100% guaranteed by third party – Fieldoo. For agents it represent a revenue stream and also a reward system. Agents, with better transfer record, get hired more often and for a better price. What is the purpose of Hire An Agent system? It allows players to hire an agent (or more agents at once). It protects players from getting hassled by phony agents. 100% money back guarantee, if a player does not get transfered. It’s a proof of serious intent from a hiring player. Ready to make extra revenue as a football agent? Deal place, which is pre-determined with Agents region of activity. Deals on Fieldoo are offered in different packages, for a different price and fixed time frame, mutually set by hired agent and player, hiring. Agents are guaranteed deal compensation for closed deals and Fieldoo grants money back guarantee to players for unsuccessful deals, unless otherwise specified by the parties in the deal description. 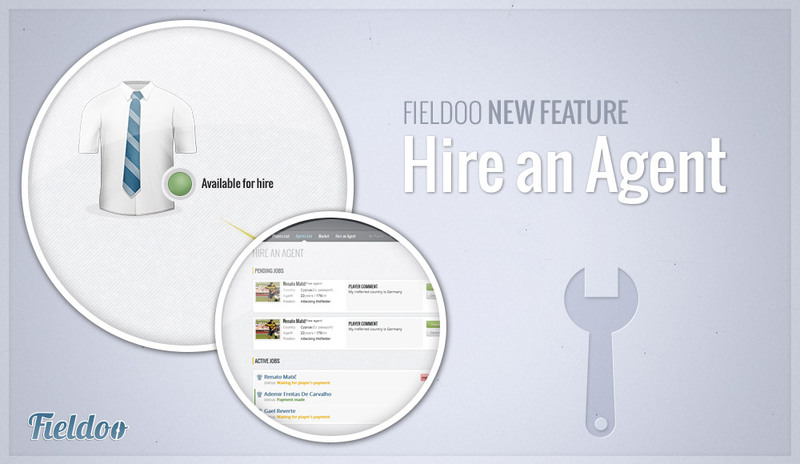 Only registered users can hire or close deals on Fieldoo. What are player and agent negotiating about (deal conditions)? Deal duration can’t be longer than 3 months. In case the deal expires, it can not be prolonged. After expiring, the deal is automaticaly cancelled and can be immediately replaced by a new deal with the same contract elements. They do not negotiate about deal place, because it is fixed and determined with the agent’s region of activity and also they do not negotiate about the deal price, which is set by an agent, when applying into the system and is fixed for players. Deal price is presented in brutt numbers, so the payout is lower by the margin of administrative costs and Fieldoo fee. It is very important that Fieldoo deal is considered as an extra deal. A prize for contact and a guarantee of serious intent from both sides. Normally, after getting in contact through Fieldoo deal, the standard representative contract is also set between agent and player. Additional conditions set between hired agent and hiring player are not part of the Deal, and are not guaranteed by Fieldoo. A deal is considered successful when a player is transferred to a new club. Primarly it has to be confirmed by agent and then by the player as well. The payout of the deal fee to agent, a tip for a great service, will be realized according to the conditions, set by Fieldoo. Unsuccessful deal means that the deal has expired, or was cancelled by the parties involved. A player was not transferred to a new club, which basically means that an agent did not complete his job. The deal is not successful and the funds (money) are returned to the player. New deal can be set. Are you a footballer trying to hire an agent to find new opportunities? A player finds an agent to hire on our agents list (agent’s price is seen in the green button). Player suggests a mentioned agent a deal’s duration (1-3 months) and waits for the agent to accept or decline. When an agent accepts a deal, a player pays a hire fee* to Fieldoo and than he waits for an agent to do his job – completes a transfer to a new club to the player. 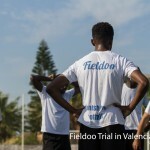 If a player gets transferred and is confirmed by both agent and player, Fieldoo.com releases the hire fee to agent, if not, we transfer the funds* back to the player. *hiring an agent for 100 EUR means that you also pay administration cost and our fee, so in total you pay 113 EUR to hire an agent of your choice. When you get your money back, you get back your money minus transfer costs. That means that you get back 100 euros and no a total 113 euros, paid to hire an agent.